From social injustices and racial discrimination to religious and political differences, conflict seems omnipresent in the world today and it is taking a toll on the collective psyches of the American people. As a psychologist, educator and researcher, Shelly Prillerman Harrell, PhD, ’78, focuses much of her work on multicultural and community psychology and ways to help people of color, so many of whom face these conflicts and prejudices each day. 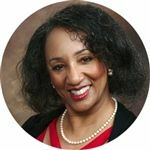 “I’ve loved being a therapist and that feeling of helping people in need,” says Harrell, who serves as professor of psychology at Pepperdine University’s Graduate School of Education & Psychology in Los Angeles, Calif. She is also a respected researcher with a lengthy list of studies to her name. Her skills as a professor stem in part from watching her mother, she says, who was a schoolteacher. Her ability to lecture an auditorium full of college students, however, no doubt has something to do with her natural talent as a performer. While a student at Kingswood, she was passionate about dance. As a senior at Cranbrook, Harrell earned early acceptance to Harvard University. Although she wanted to pursue dance as a profession, the untimely death of her father, who had long wanted her to be an attorney, inspired her to consider other career paths. So, too, did a master class with Sarah Yarborough from the Alvin Ailey Dance Company, who described for Harrell what life as a dancer was like. Those stories helped Harrell realize “that I didn’t want to train eight hours a day, get sore feet and have no money,” Harrell shared. She and her colleagues are working to create resilience-oriented stress management programs that will be adaptable in a broad range of settings, something needed to do as more and more people are coming into conflict with their families, colleagues and friends over sociopolitical disagreements and issues.